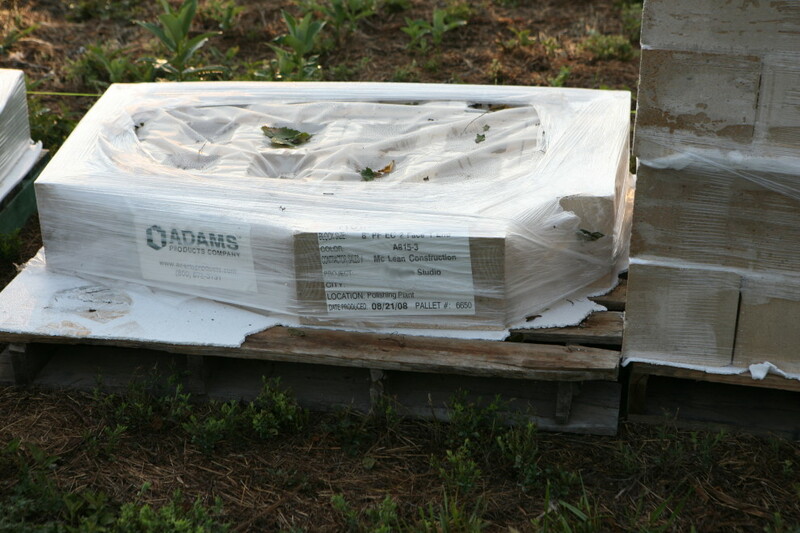 I am pleased to finally announce some concrete progress: the first arrival of the blocks! 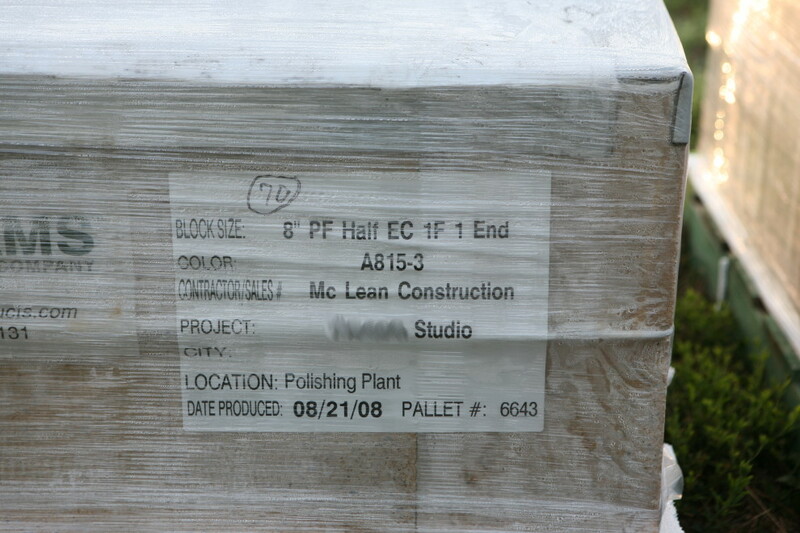 The first delivery was nearly 100 pallets of blocks. 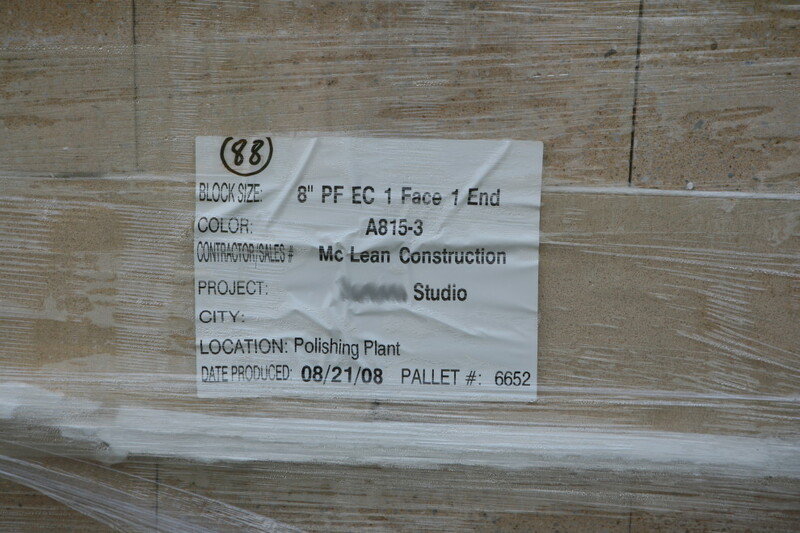 65 pallets were 8″ stretchers polished on one face, the standard building block of the main studio. 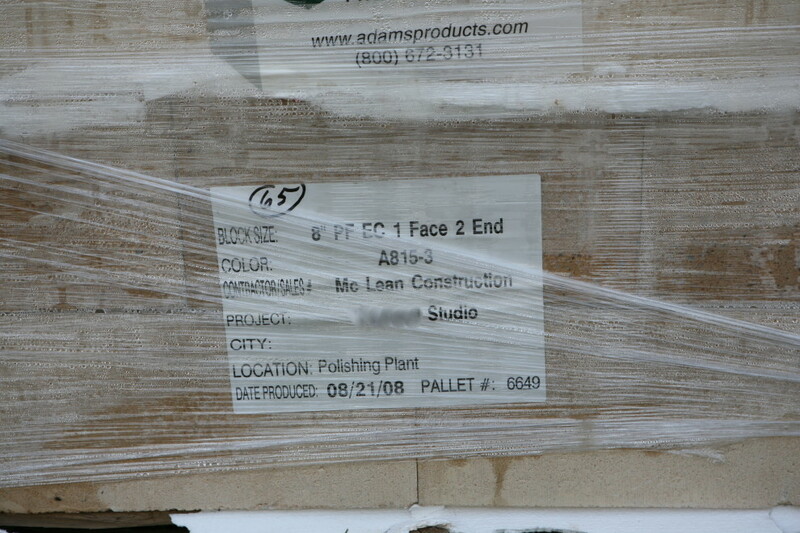 20+ other pallets represented a variety of other 8″ blocks: EC 1 Face 1 End, EC 1 Face 2 End, EC 2 Face 1 End, Half 1 Face, Half EC 1 Face 1 End, OBBB 1 Face, etc. 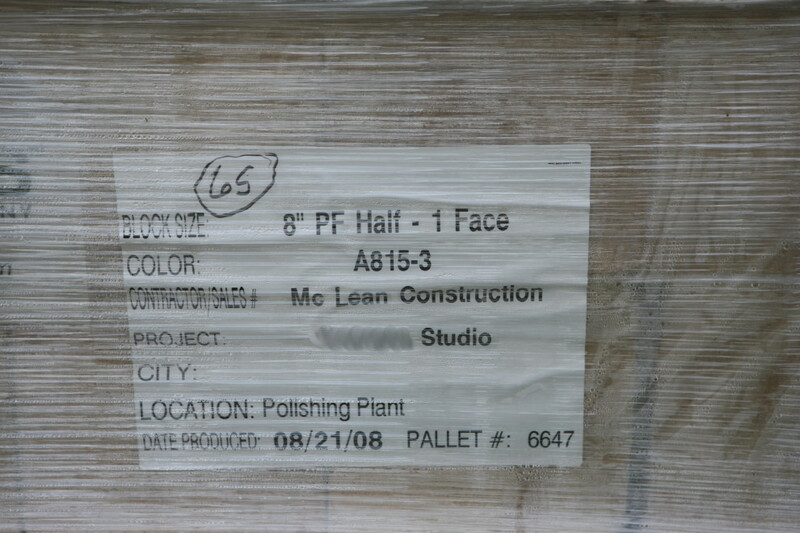 Normally there are 75 8″ blocks to the pallet, but in some instances (like the EC 2 Face 1 End) there couldn’t have been more than a dozen. P.S. 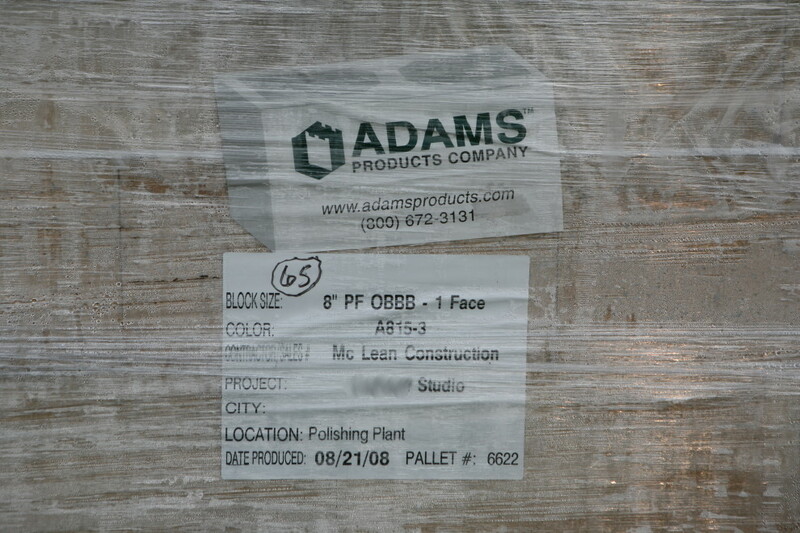 The 4″ block on top of the 8″ block is being used to judge whether the color delivered was the color of the sample selected. It was a perfect match!